Miriam E. Mason - Tampa Full-Service Law Firm | Allen Dell, P.A. 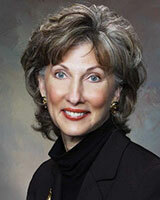 Miriam E. Mason is a shareholder of Allen Dell, P.A. Miriam Mason is Board Certified in Marital and Family Law by the Florida Board of Legal Specialization and Education and is a Fellow of the American Academy of Matrimonial Lawyers. She confines her practice exclusively to Marital and Family Law matters. Litigation and negotiation of complex dissolutions of marriage including alimony and child support, equitable distribution of marital assets and liabilities, valuations of goodwill, business interests, professional practices, real estate, deferred compensation and appreciation of and enhancement to non-marital assets. Collaborative divorce when clients seek more privacy.